In ALTERLIFE Electro Muscle Stimulation is wireless. Reshape your body immensely in just only 20 minutes without wires and limitations. 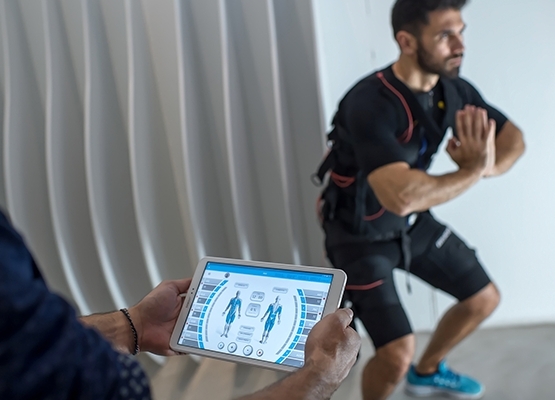 Once you wear the EMS suit, the trainer will apply those specific stimulations that your body requires in order to achieve the ideal results. It will help you restart! 20 minutes of wireless ElectroMuscle Stimulation will suffice! I want to try the Turn me On and get my energy back!